The best bookstore POS guarantees simplified operations in your used, new or specialty bookstore. Such systems are often loaded with a myriad of features and tools for enhanced ease of use and functionality. With the best system, cataloging your inventory as well as managing your employees and customers will be easier and more effective. Again, the leading bookstore POS systems have been proven to improve efficiency and profitability, whilst cutting on costs and errors. Choosing the best POS for your bookstore requires such considerations as the functionality, pricing, customer support and support for integrations. In this guide, we’ll review the five best bookstore POS systems for your business. 2.5% +$0.30 for keyed-in transactions. The Lightspeed Retail POS is essentially a cloud-based version of the locally installed, OnSite point of sale system by the provider. Currently, this mobile and cloud-based POS solution is being used by more than 50,000 businesses across the globe. So, what features make Lightspeed Retail one of the best bookstore POS systems today? This feature is designed to offer you detailed insight into your bookstore business. For instance, the system will help you figure out whether you have the right inventory, know the stocks that run out more frequently and how often customers buy from your store. You will also love the fact that the system allows for integration with third-party accounting services. In this regard, your accounting data will be recorded automatically and accurately. Again, Lightspeed POS Reporting and Analytics feature allows you to export reports in either PDF or Excel formats. A good bookstore POS should have powerful inventory tools. In this regard, the Lightspeed Retail POS offers a myriad of inventory tools. 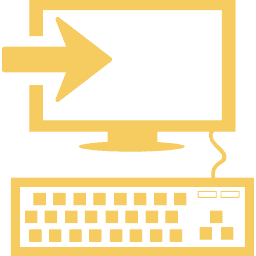 Some of the most important inventory capabilities offered by the system include item import, catalogues, multiple product variants, item types and vendor purchase orders. Retail version of the software will require you to sign an annual contract with the provider. Based on this contract, you will be paying a subscription fee of $99 per month per location. This plan is best suited for bookstore businesses with a single location. As such, the plan will offer you personalized onboarding, a cash register, basic reporting, cloud backup, free updates, support for up to 5 employees and 24/7 support. If you would like to implement this POS across multiple locations, you should contact the provider for a custom quote. The monthly subscription fees for this software is billed annually. As such, you will be required to make a one-year commitment. This can turn out to be a hindrance for small businesses. Shopkeep is an elegant, intuitive and easy-to-use point of sale system for retailers. This system is packed with dynamic features that have been proven to increase efficiency in bookstores. Recently, the provider changed from a flat-rate pricing plan to a quote-based pricing system. Basically, this system has all the back-office tools you need to manage various aspects of the business. This is particularly the case for the relatively small bookstore businesses. For instance, the system has all the back-office tools required for inventory and customer management, reporting and analysis as well as employee time management. The latest update to this POS incorporates the ability to set different tax rates. As you may be aware, this was not possible with the earlier version of the system. In response to user complains, the provider fixed this problem to include tax rates in the POS system. As such, Shopkeep POS now allows you to set default tax rates for the merchandise in your bookstore. Additionally, this feature allows you to assign special tax rates to certain items in the inventory. To do this, you need to use the new Tax Groups Feature of the POS. The provider changed from the simple, fixed-rate pricing system it was using before. Nowadays Shopkeep uses a pay as you go, no-contract monthly subscription pricing system. However, the provider does not offer pre-set monthly subscription plans. Instead, you are required to contact the provider for a custom quote. While this is the case, you will find Shopkeep POS to offer a perfect blend of affordability and functionality. 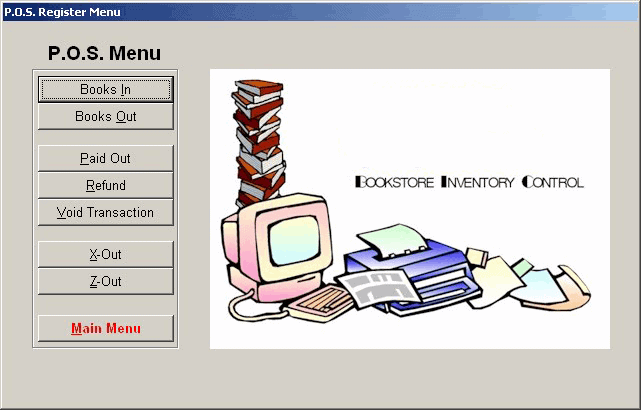 As compared to some of the best bookstore POS systems in the market, the Shopkeep inventory is somewhat limited. Since 2010, Vend has remained on top of trends in the industry in a bid to offer an intuitive and simple POS system. In addition to its offline capabilities, the system features some of the best inventory management tools in the industry today. Although this feature is only available on the more advanced payment plans, it is one of the best-selling points of the POS. The provider offers an integrated website builder, hosting and design help. With regards to design, the Vend eCommerce platform offers several responsive themes. Additionally, the platform allows you to tie your preferred domain name to the eCommerce platform. The responsive design of this platform makes it friendly to different devices, including phones, tablets and computers. As compared to other bookstore point of sale systems, Vent has some of the best inventory management tools and capabilities. In this regard, the feature allows you to easily edit, remove and add inventory items. Additionally, Vend’s Inventory management offers several advanced capabilities, such as ability to include product images, track inventory levels and special taxes, ability to set custom prices and export or import the inventory from or to a CSV file. You will have to incur additional costs for you to get priority customer support services. Again, the system is less robust, as compared to some of the best bookstore POS systems today. Shopify POS features an intuitive design, easy-to-use interface and a reliable support system. As you may have realized, the provider offers in affordable pricing structure. Such are the aspects that make Shopify one of the most popular retail POS systems today. Despite being one of the most affordable POS solutions in the market, Shopify is highly functional and effective. The Payments feature of the system, for instance, is equipped with a myriad of tools for enhanced versatility and ease of use. In this regard, the payments feature allows you to accomplish such tasks as storing credit, splitting tenders, accept partial payments and incorporate a debit/credit terminal to the POS system. Additionally, this feature will also allow you to create custom payment types like gold coins, IOUs and cheques. POS affordability is a key concern for the small and medium-sized bookstore businesses today. If you are looking for an affordable POS system, you should consider getting the Shopify POS system. This is the most affordable plan by this POS provider, costing only $9 per month. While on this plan, credit card transactions will be charged at 2.7 percent. Although you will be required to use Shopify Payments as the gateway, this plan supports unlimited devices and includes 24/7 support. For this one, you will be required to pay a subscription fee of $29 per month. For this amount, you will get an online store, two staff accounts, support for unlimited devices and products as well as social media sales channels. This plan costs $79 per month and allows you to use an external payment gateway. However, you will be charged an additional processing fee of 1percent for using an external gateway. To begin with, the inventory on this point of sale system lacks a few tools and capabilities there are useful in a bookstore. Secondly, the offline mode on Shopify POS system is rather weak. 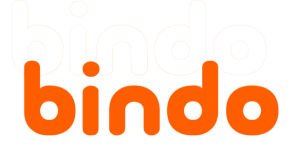 Though a bit new in the market, the Bindo point of sale system is one of the most preferred bookstore POS systems today. This may be attributed to its vast array of advanced features, in addition to a free eCommerce platform. Different bookstores have varying POS requirements. This being the case, it is almost impossible to get a system that meets all your requirements. With support for third-party integrations, the Bindo POS system allows you to expand the functionality of your bookstore POS system. In this regard, Bindo POS is capable of integrating with such third-party services as eCommerce, accounting, Microsoft Dynamics, and Opera PMS integrations as well as with CRM systems. This is one of the innovative and highly beneficial features retailers have come to like about this POS system. In its functioning, the Bindo Marketplace App allows you to connect your brick-and-mortar and online stores to your potential customers in the neighborhood. From this application, your customers will be able to see items in stock at a glance. Additionally, the feature allows your customers to place their orders online. Alternatively, customers can have their orders deliver to their door steps from your local store. You may find this POS software to be buggy from time to time or even lack technical support when you need it. A bookstore is essentially a retail store. However, not all the retail point of sale systems are suited for a bookstore. As such, it is advisable to get a system that is specifically meant for a bookstore. The best bookstore-specific POS will help you do much more than just process sales and transactions. Such a system will help you handle an array of other activities in your store, ranging from inventory management, to tracking customer behavior, and handling returns and exchanges. However, choosing the right product from the hundreds of Bookstore-specific POS systems in the market can be an uphill task. First thing’s first; you need a point of sale system that has the features and capabilities you need in your bookstore. Most of the leading bookstore-specific POS Systems today have all the basic POS capabilities you need. customer relations management, automated receiving/purchasing, integrated credit card, and debit card processing, gift cards as well as marketing and promotions capabilities. 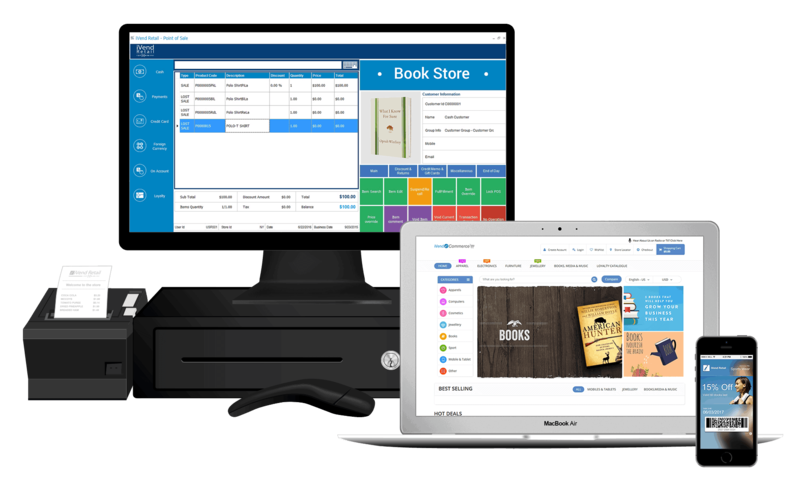 Additionally, some of the leading bookstore POS systems feature employee time management, inventory manager with product subcategories and sales source tracking tools. Such a feature will help you keep track of special-order items, such as books that are out of print, from your customers’ orders. In most cases, this is done through the inventory for the various POS transactions. This is one of the bookstore-specific POS features you cannot find in any generic retail point of sale system. In its functioning, this tool uses an alternative SKU to present a detailed record for each of the inventory items. With this feature you can get such details as individual cost, when the book was received, when it was purchased, and which customers bought it. 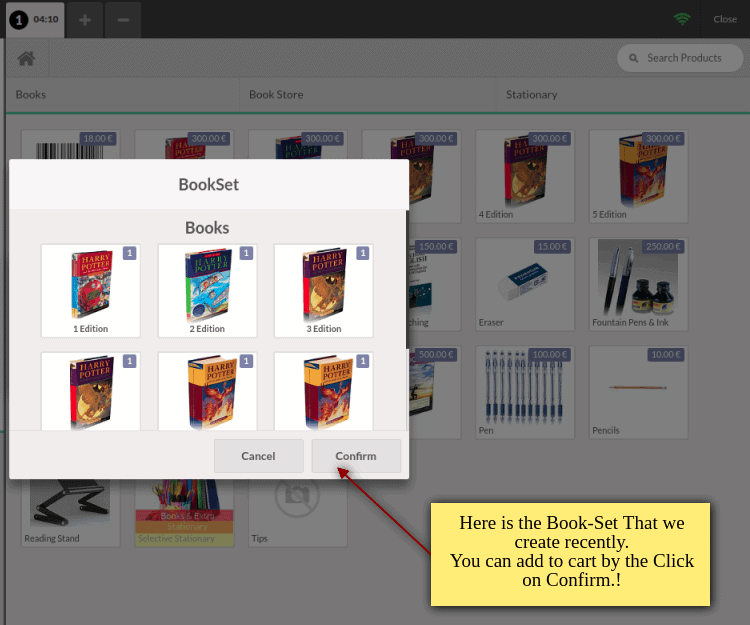 When offered in a bookstore POS, such a feature will allow you to group or bundle any related items that may be sold together, such as school supplies and textbooks. Do you rent out items in your bookstore? If so, you should get a point of sale system that supports the same. In this regard, a POS system that features a rental module will come in handy. Rental module has the tools you need to track renting items like textbooks in your store more efficiently. In order to be able to track the inventory in your Bookstore easily and more effectively, you will need more than the inventory tools offered by most retail POS systems today. In this case, a multi-dimensional inventory grid will be better suited. This feature will make it easier for you to manage such multi-attribute items as supplies and apparel width, style, color and size attributes. This is another inventory tool that will come in handy in a bookstore. 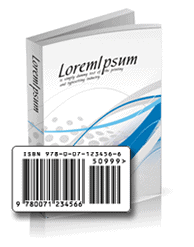 The feature is essentially designed to track inventory item numbers (ISBNs). Additionally, the tool may be used to track other stock aspects like publisher, author, title, textbook image and edition. With this feature on your bookstore POS system, it will be easier for you to manage such aspects as quantity pricing, group markdowns, multi-buy items, bulk discounting and promotional pricing. This feature will automatically display a prompt at the register based on the items being purchased. For instance, a customer may be told of a sale on another item that is related to the one he or she is buying. Such bookstore-specific features and capabilities will make a point of sale system better suited for your business. Although some of them may not be necessary, the tools mentioned above will make your system easier to use, more relevant and efficient. Once you have ascertained the POS features you need in your bookstore, the next thing you need to worry about is the POS cost. Basically, cloud-based point of sale systems are known to be more affordable. However, the cost of such systems will depend on several factors. The best cloud-based POS systems today are offered in a Software as a Service (SaaS) model. As such, most of them require you to pay a monthly subscription fee. Additionally, you may be required to pay a one-time licensing fee for the software as well. The much you will be required to pay for the licensing fee or monthly subscription will vary from one provider to another. It is also advisable to check whether your preferred provider charges additional fees for upgrades and customer service. Even with the best cloud-based point of sale systems, you will still need the right hardware components. To begin with, the POS hardware components you will need will depend on the size of your business as well as the POS functionality you need. 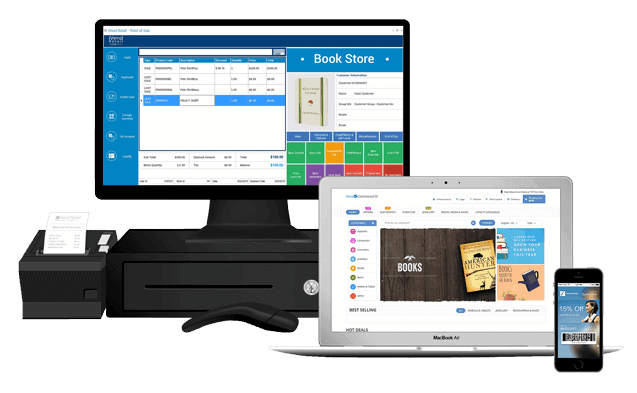 Some of the leading cloud-based bookstore POS system only need an iPad or tablet function. Such a choice will be even cheaper, in a provider allows you to bring your own device. However, larger bookstores may require a stationery POS station as well. In such a case, you will be required to invest in more hardware component, such as a customer display device, printer, credit card readers, bump bars, barcode scanner and a cash register. The more hardware components you require, the costlier your point-of-sale system will be. For enhanced affordability, it is advisable to opt for providers that offer flexible pricing options or hardware bundles. The best bookstore POS systems have almost all the features you need. Even so, it is advisable to get a product that supports integration with third party POS services. These third-party integrations are essentially meant to expand the functionality of POS systems. As such, your preferred point of sale system should I know you to integrate with services by other providers. However, you need to know that a good number of these third-party integrations come at a cost. Are you looking for a Small-to-medium bookstore POS system? If so, Shopify and Vend POS would be a great choice. As mentioned above, these systems will give you the ability to sell online. If you happen to own a small bookshop that has a limited inventory, you should consider getting the ShopKeep POS system. The Lightspeed and Bindo POS systems, on the other hand, are best suited for medium-to-large bookstores. These two are also a great choice for multi-location bookstores. Most of these systems offer a free trial. Ready to get started? Call us at 1-800-715-2435! Choosing a POS system can be a difficult decision, but we're here to assist you. We don't just review POS systems; we provide complete buyer's guides that are tailored to your business type. Reach out to us to see how we've helped more than 5,000 business owners with POS solutions! © 2019 | POS Quote™. Your Point of Sale Pros. All rights reserved.